2016 NCAA Outdoor Women’s Mid-D/Steeple Preview: Can Raevyn Rogers (800), Marta Freitas (1,500) & Courtney Frerichs (3,000 SC) Deliver As Favorites? The 2016 NCAA Outdoor Track and Field Championships start on Wednesday in Eugene, Oregon, with the men’s competition taking place on Wednesday and Friday and the women’s on Thursday and Saturday. We’ll be previewing all the mid-d/distance events before the meet. Below you’ll find our previews of the women’s 800 (Oregon’s Raevyn Rogers goes for the repeat) 1500 (Mississippi State’s Marta Freitas vs. indoor mile champ Kaela Edwards) and steeple (New Mexico’s Courtney Frerichs is the overwhelming favorite). 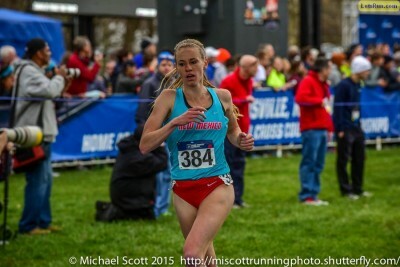 Karisa Nelson SO Samford 4:15.12 4:15.12 Won 1500 and was 2nd in 5k at Southern Conf Champs. Stephanie Van Pelt SR St. John’s 4:15.68 4:15.68 Big East runner-up. Dani Jones FR Colorado 4:15.29 4:15.29 49th at NCAA XC. 7th at Pac 12s in 1500. Molly McNamara SR Stanford 4:15.22 4:15.22 13th at Pac 12s. Anna Maxwell SO Washington 4:12.62 4:12.62 4th at Pac 12s in 1500, 5th in 5000. Emily Hosker-Thornhill SR New Mexico 4:18.55 4:18.55 3rd at Mountain West Champs. Maddie Alm SR Colorado 4:17.83 4:17.83 11th at Pac 12s. Amy-Eloise Neale SO Washington 4:18.67 4:18.67 5th at Pac 12s. Ffion Price JR Miss. St. 4:17.47 4:17.47 Twin sister of ’15 NCAA champ Rhianwedd dind’t make the final of SECS. Madison Granger JR Duke 4:18.67 4:18.67 4th in ACC 1500. Alexandra Lucki SO Maryland 4:20.16 4:20.16 8th at Big 10s. Lilli Burdon FR Oregon 4:18.33 4:18.33 6th at Pac 12s. One woman has owned the NCAA in the 1,500 this spring, and it’s Mississippi State’s Marta Freitas. Freitas, a 22-year-old senior from Portugal, will be looking to become the second straight Bulldog to claim the title in this event, following Rhianwedd Price‘s victory a year ago (Price still has eligibility but redshirted this spring; her twin sister Ffion is in the field, however). 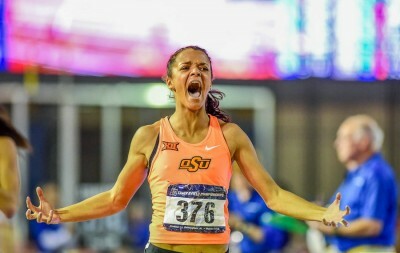 Freitas, who was last in the 2015 NCAA final, broke out with a 2+ second PR of 4:10.98 last July to take 6th at the Euro U-23 Champs and after a low-key indoor season (she won SECs in the mile but didn’t qualify for NCAAs), she announced her presence with an NCAA-leading 4:11.52 at the Virginia Challenge on April 23. She then proceeded to win the SEC 1500 over Dominique Scott (a 4:08 1,500 performer) before running an NCAA leader (by over two seconds) of 4:09.80 at regionals. Unlike the men’s side, where NCAA finals (particularly outdoor finals) tend to be super-tactical affairs, women’s 1500/mile finals are much more likely to go fast. The winning time indoors (4:35) this year wasn’t blazing, but last year’s outdoor (4:09.56) and indoor (4:27.18) finals were extremely quick. That doesn’t guarantee that Saturday’s final will be won in the 4:09-4:11 range, but considering Freitas has the two fastest times in the country this year and her SB is almost three seconds better than anyone else’s in the field, it may be in her best interest to make it quick. Freitas has a solid 800 pb (2:03.42) but if she doesn’t take it out, she risks a repeat of the NCAA indoor final, where UNH’s Elinor Purrier (the top seed going in) led from the front but kept it slow enough for kickers Kaela Edwards of Oklahoma State and Angel Piccirillo of Villanova to blow by her at the end. Piccirillo isn’t running this spring, but Edwards is and she might be the top threat to Freitas. Edwards won the mile indoors in March. Other women worth watching include Georgetown’s Andrea Keklak and New Mexico’s Sophie Connor, who were 4th and 5th indoors. Stanford’s Elise Cranny ran 4:10 as a high schooler two years ago, taking 4th at World Juniors, but her best time in two years at Stanford is only 4:14. She was hurt last fall in XC and has done all right in 2016 (she ran leadoff for Stanford’s 3rd place DMR at NCAA indoors and won Pac-12s in the 1500) but hasn’t done anything to suggest she’ll win this race. LRC Prediction: Edwards remains dangerous, even if she’s missed some time, as she has serious wheels. No other collegian has come close to beating Raevyn Rogers at 800 this year yet Edwards managed to do it on tired legs. But Freitas is our pick. If she could run 4:09 at regionals, how much faster can she go when it actually matters in Eugene? Who will win the 2016 NCAA women's 1500? Emma Keenan SO Georgetown 2:03.33 2:03.33 4th placer at Big East 800 ran on NCAA winning DMR team indoors. Sabrina Southerland JR Georgetown 2:03.74 2:03.74 Qualifier indoors was a DNS in Big East 800 final. Sarah Schmidt FR Georgetown 2:01.44 2:03.78 German didn’t run Big East champs but ran sb to make it as time qualifier to Eugene. Aubrey Wilberding JR Mich. St. 2:04.08 2:04.08 Failed to score individually at Big 10 indoors or outdoors. Claire Mooney SR St. John’s 2:05.08 2:05.08 3rd in 400 at Big East. Brooke Feldmeier SO Oregon 2:03.13 2:06.22 SEC champion last year in 2:03 for Ole Miss; failed to make final at Pac 12s this year for Oregon. Savannah Camacho (8) JR Okla. St. 2:02.84 2:05.73 Scorer last year was 4th at NCAA indoors but only 7th at Big 12s outdoors. Katie Willard JR Texas A&M 2:05.79 2:06.23 8th at SECs. Mary Beth Hamilton JR Texas 2:06.26 2:06.26 4th at Big 12s. Rogers will go for NCAA title #3 this week. 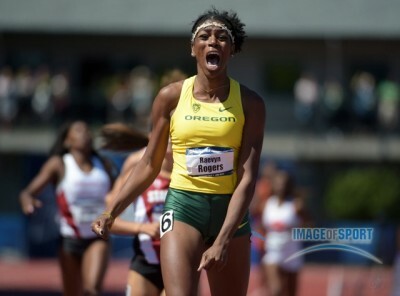 Oregon sophomore Raevyn Rogers has won the past two NCAA titles in dominant fashion. Expect that to continue this week in Eugene. Though Rogers’ SB of 2:02.41 is only fourth in the country this year, her pb of 1:59.71 is almost a second faster than everyone else’s. Though she did lose to OK State’s Kaela Edwards at Mt. SAC, Rogers won NCAA indoors by over a second and showed similar form at Pac-12s last month, winning by 1.21 seconds in 2:02.41. With Rogers fully unleashed at NCAAs, it would be a surprise to see her lose. But this is a deep field and the fight for first will be fierce should Rogers falter. All eight women from the NCAA indoor final return, led by Virginia Tech’s Hanna Green. Green has gradually improved her NCAA finish, going from 5th indoors in ’15 to 3rd outdoors to 2nd indoors this year, but she lost to NAIA runner Hannah Segrave and NC State’s Megan Moye back in April. Though she got back on track at ACCs, running 2:02.45 for the win, she may wind up just short at NCAAs again. The biggest threats to Rogers are a pair of Stanford runners, sophomore Olivia Baker and senior Claudia Saunders. Baker, like Rogers, was an age-group phenom, taking silver at the World Youth Champs in the 400 in 2013 and bronze at the World Junior champs in the 400 in 2014. She’s made a very nice transition to the 800 as a collegian (though she still sprints — she ran a wind-aided 11.89 100 earlier this year), running 2:01.02 at Payton Jordan, the fastest time in this field by over a second. Baker didn’t race Rogers at Pac-12s (she won the 400 instead), so we don’t know how she stacks up against the champ. But like Rogers, Baker has excellent 400 speed (52.46 pb; Rogers’ best is 52.30) and could be primed for the same sort of breakout that Rogers enjoyed when she won NCAAs last June. Outdoor NCAA result 2nd, 2:02.92 2nd, 2:00.63 ??? As you’ll notice, Saunders has a knack for performing her best at the NCAA outdoor championships as she’s PR’d in the final in this meet two years in a row. And just as in those two years, Saunders enters the meet off a fourth-place finish at Pac-12s. Given Saunders’ knack for coming up big when it matters most, it wouldn’t surprise us if she took second again (or even first), but we wouldn’t count on it. She was almost a second behind the top three women at Pac-12s (Rogers, Oregon’s Annie Leblanc and Washington’s Baylee Mires) and all three of those runners are entered in the 800 at NCAAs. Leblanc, a 2:01.87 performer, is a strong runner but doesn’t have much chance to win here as she’s also entered in the 1500 (Oregon is trying to wring every point out of her in order to defend its team title). She performed that double admirably at Pac-12s (2nd 800, 3rd 1500), but it will be tougher in Eugene. Even if she makes both finals, she could be spent by the 800 final (66 minutes after the 1500 final) as it would be her fourth race in three days. Georgetown’s Sarah Schmidt, a freshman from Germany, was the European junior silver medallist last year and has the 5th best pb at 2:01.44. However, Schmidt didn’t even run Big East this spring and was only a time qualifier for Eugene. 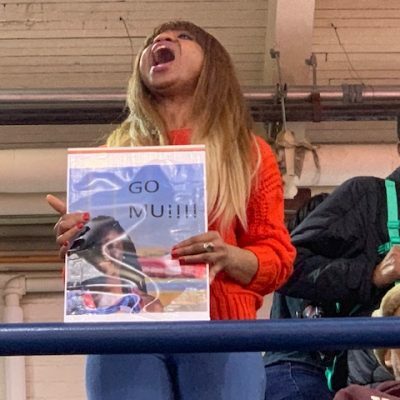 LRC Prediction: Baker is a rising star (her 2:01 at Payton Jordan was a three-second PR) but Rogers has been dominant for the past year and we’re not betting against her on her home track. Perhaps the bigger question is can Rogers return to her sub-2:00 form of 2015 and challenge for a spot on this summer’s Olympic team? Who will win the 2016 NCAA women's 800? Cornelia Griesche SR Miss. St. 9:51.66 9:51.66 SEC runnerup was 125th at NCAA xc. Sofie Gallein SR E. Michigan 9:52.66 9:58.61 Mid-American con runner-up made NCAAs last year as well. Antonia Hehr FR Miss. St. 9:59.32 9:59.32 5th placer at SECs. Ingeborg Loevnes JR Okla. St. 9:48.89 9:50.67 Big 12 champ, also 3rd in 1500. Madelin Talbert SR Lipscomb 9:50.57 9:55.79 Just missed making final last year (13th). Bridget Blake SO Fla. St. 10:07.87 10:07.87 ACC runner-up. Val Constien SO Colorado 10:05.65 10:05.65 4th at Pac 12s. Erika Barr SR UC Davis 10:08.64 10:08.64 Big West Champ. She was second last year in a time that made her the fourth-fastest collegian of all time. She ran great in cross country, finishing as the top runner (4th at NCAAs) on the greatest NCAA women’s XC team ever. After skipping indoors (the UMKC transfer was out of eligibility) she opened her season with a 4:18.92 1500, a four-second pb. She won the steeple at Payton Jordan in 9:29.31, making her the third-fastest collegiate steepler ever, behind only Jenny Simpson and Emma Coburn. She’s the NCAA leader by 18 seconds. She won her heat at regionals by 18 seconds. After a stellar XC campaign, Frerichs will aim to close out her collegiate career with her first individual title. Frerichs looks unbeatable and has a real chance to break Simpson’s collegiate record of 9:25.54 if she goes after it — and we think she will as NCAA finals have produced five of the nine fastest performances in NCAA history. The only bad news for Frerichs is that we haven’t been very good at forecasting this event in recent years. In 2014, we predicted Colorado’s Shalaya Kipp as the champion, only for her to finish 5th at Michigan State’s Leah O’Connor to pull the upset. The next year, we pegged O’Connor as the favorite to repeat but she was only third, losing to Quigley and Frerichs. However, we feel very confident about Frerichs’ chances. She’s a bigger favorite than either Kipp or O’Connor was as the gap between her and the rest of the country this year (18 seconds) is massive. And even when Frerichs ran her 9:29, she wasn’t pushed at all as she won Payton Jordan by nine seconds. PRs are common at NCAAs as there are very few fast steeples during the regular season. So women like Elinor Purrier (9:47 pb, 3rd at NCAAs in the mile), Erin Teschuk (9:42/15:41 pbs, 4th at NCAAs in the 3k indoors, ran at Worlds last year for Canada in the steeple) and Erin Clark (won Pac-12s by 8 secs in 9:48, 5th in the 3k at NCAA indoors) all have the chance to notch big PRs in Eugene. But even if they do, it will be a huge task to catch Frerichs, and that’s before you factor in that Frerichs has a great chance to lower her PR as well and break the collegiate record. 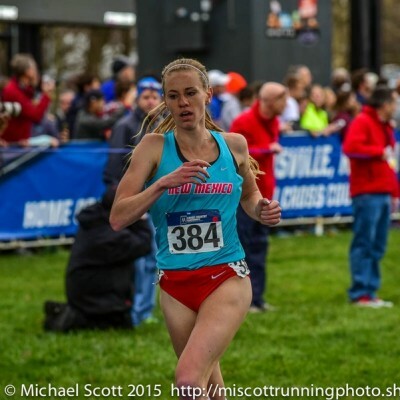 LRC Prediction: The steeple has been tough to predict the past two years, but we see Frerichs doing what Coburn did in 2013 — running in the 9:20s at Payton Jordan and capping her collegiate career off with an NCAA title. Frerichs has a better chance of breaking the CR than losing this race. Who will win the 2016 NCAA women's steeple? Talk about the meet on our world famous fan forum / messageboard: MB: Official 2016 NCAA Women’s Outdoor Track and Field Discussion Thread. 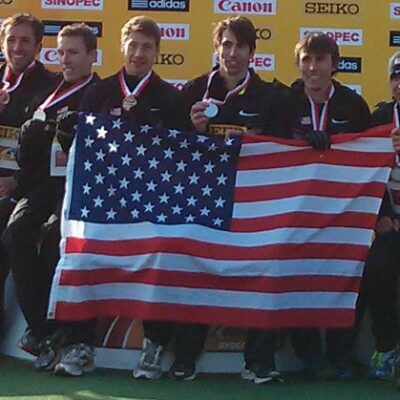 2019 World XC Team USA Preview: Could Both American Squads Medal Together For The First Time Since 1985?